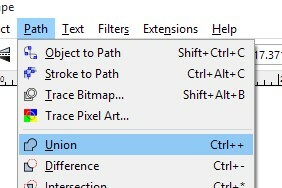 Click the Path menu, then Union. This will weld your letters together (so they don’t cut as separate letters) and convert them to a path so that Design Space can read it. Select a location for your file and give your project a name. 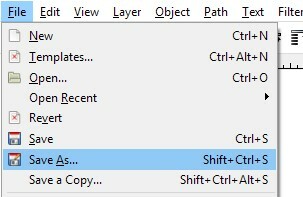 You’re now ready to import your word into Design Space. 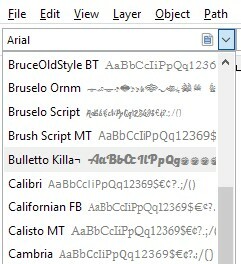 If you want to change the text you will need to recreate it in Inkscape.